Due to a recent, unexpected influx in orders, order turnaround time is currently delayed. I'm processing orders in the order they were received and I'm doing so as fast as I can. I'll begin returning e-mails as soon as I'm caught up. 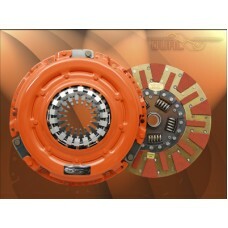 If you have done engine performance modifications to your Nissan Hardbody Pickup, or if you off road, you can benefit from the additional clamping force of a high performance clutch. Nissan Hardbody high performance clutches provide the additional clamping force and durability needed in higher horsepower, off road or in towing applications. Fits years 1982 (Nov-Dec), 1983, 1984, 1985, 1986, 1987, 1988, 1989, 1990, 1991, 1992, 1993, 1994, 1995, 1996, 1997, 1998The Centerforce II system utilizes a full facing-disc with premium friction mat.. Fits years 1982 (Nov-Dec, 1983, 1984, 1985, 1986, 1987, 1988, 1989, 1990, 1991, 1992, 1993, 1994, 1995, 1996, 1997, 1998 The Centerforce I is designed as a high-quality entry-level performance clutch .. 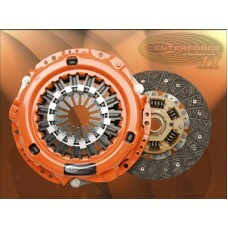 Fits years 1985 (Nov-Dec), 1986, 1987, 1988, 1989, 1990, 1991, 1992, 1993, 1994, 1995, 1996, 1997 The Centerforce I is designed as a high-quality entry-level performance clutch for those in need of a.. Fits years 1985 (Nov-Dec), 1986, 1987, 1988, 1989, 1990, 1991, 1992, 1993, 1994, 1995, 1996, 1997 The Centerforce II system utilizes a full facing-disc with premium friction materials and a pressure p.. Fits years 1982 (Nov-Dec), 1983, 1984, 1985, 1986, 1987, 1988, 1989, 1990, 1991, 1992, 1993, 1994, 1995, 1996, 1997, 1998The Centerforce Dual-Friction clutch set is a performance matched pressure plat.. 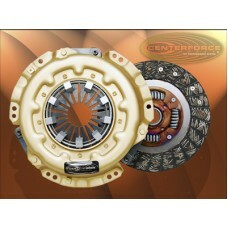 Fits years 1985 (Nov-Dec),1986, 1987, 1988, 1989, 1990, 1991, 1992, 1993, 1994, 1995, 1996, 1997The Centerforce Dual-Friction clutch set is a performance matched pressure plate & disc combination. Cen..